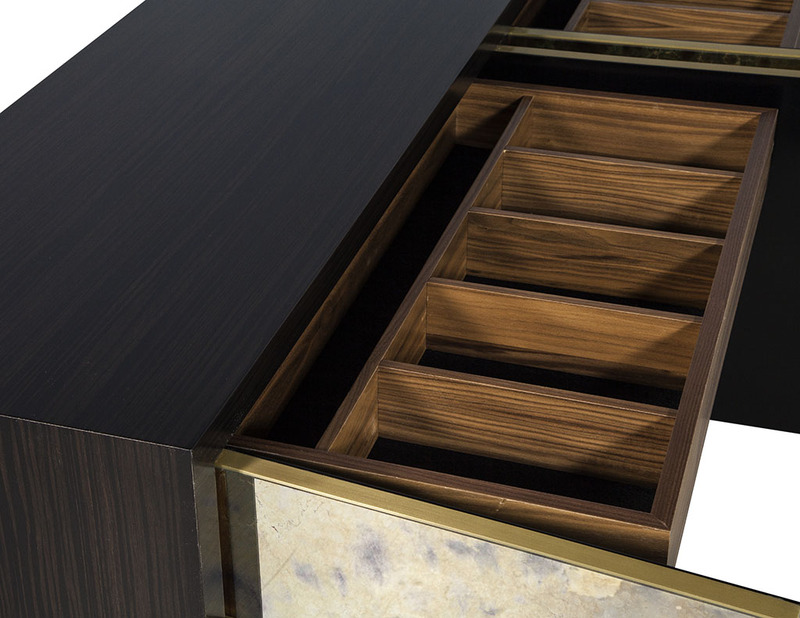 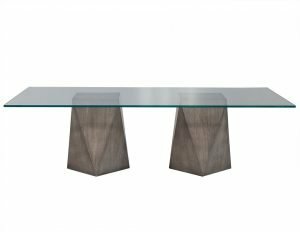 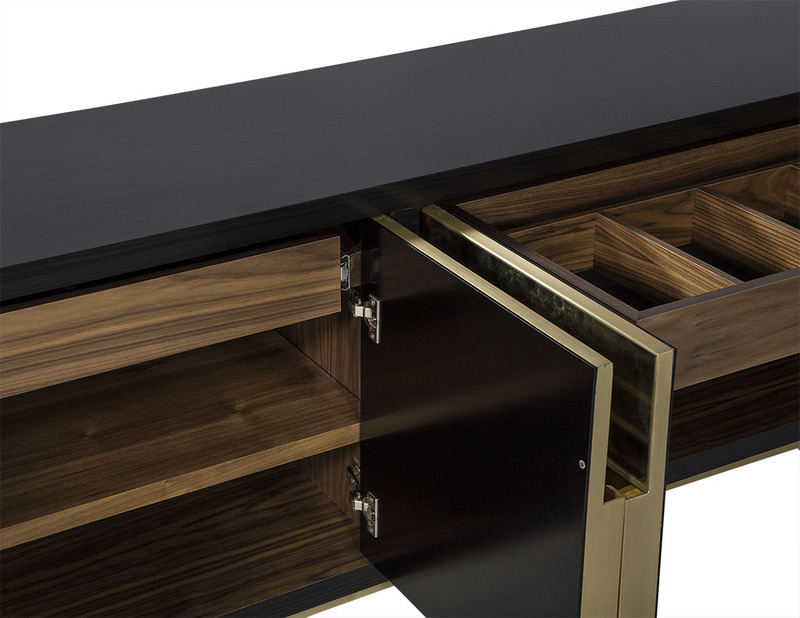 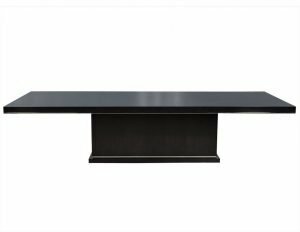 This modern console is made to order. 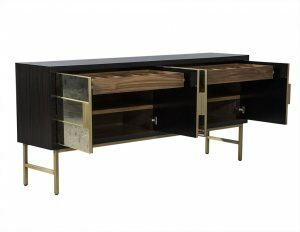 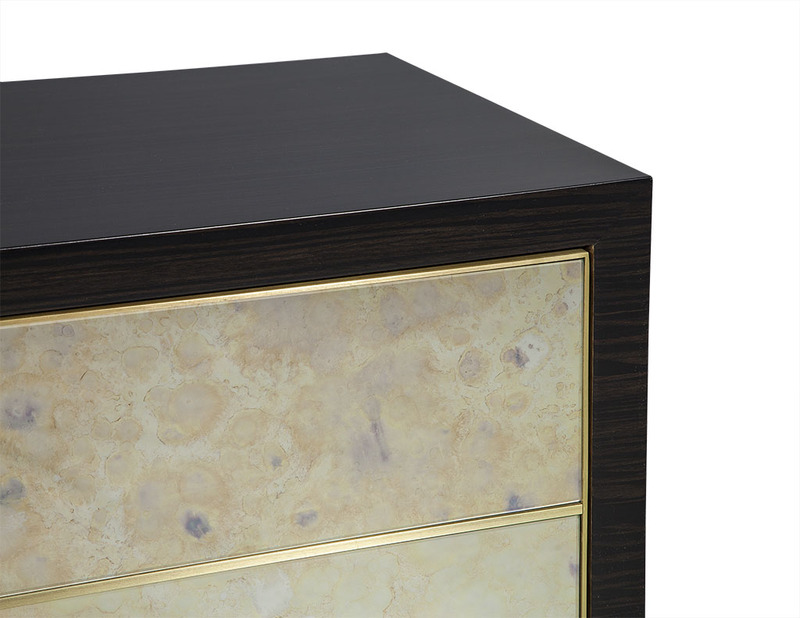 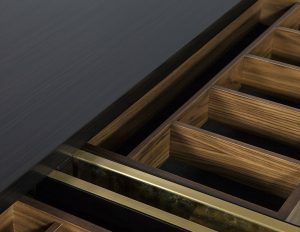 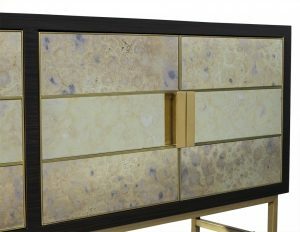 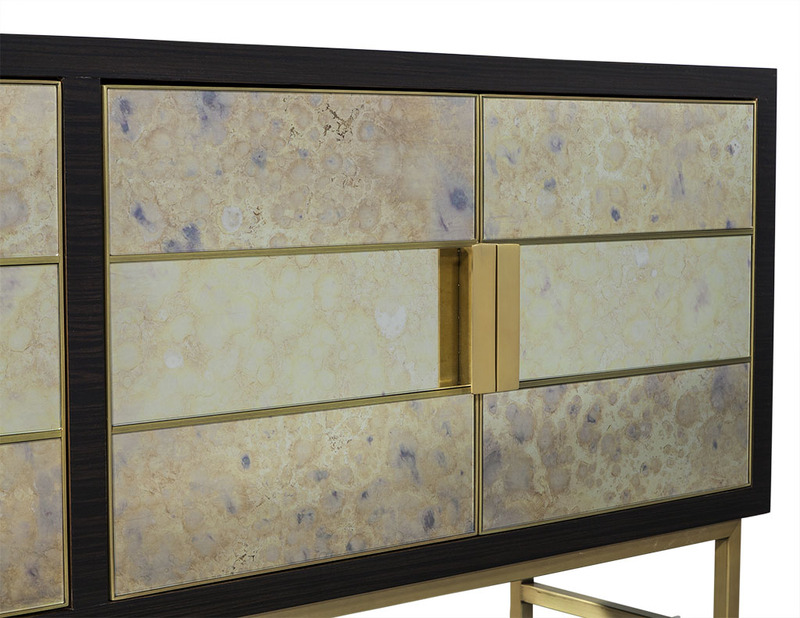 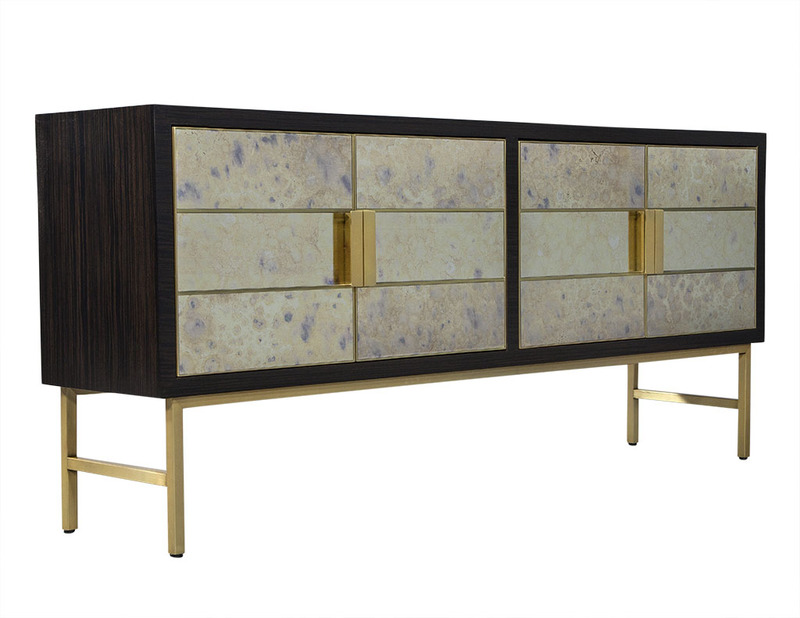 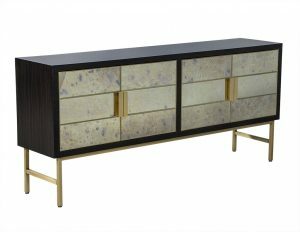 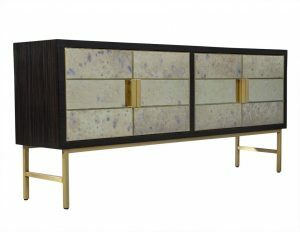 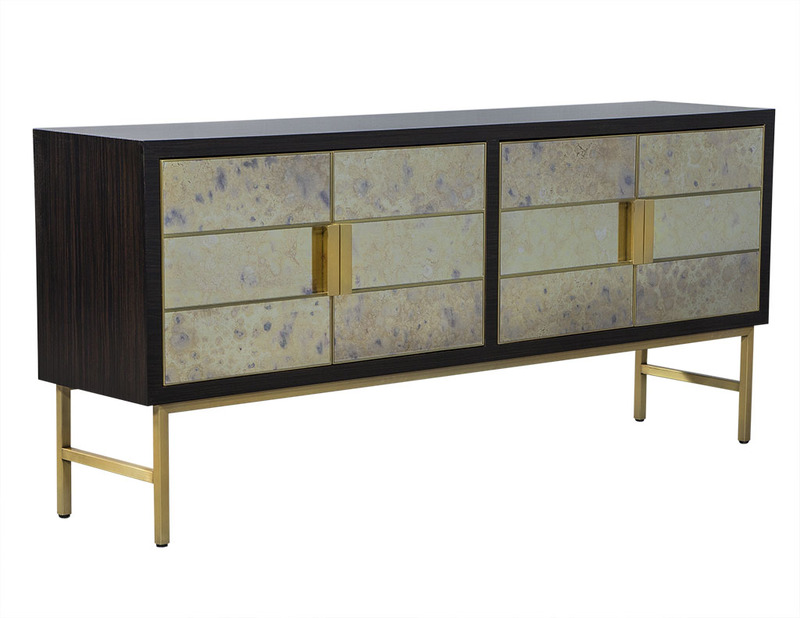 Crafted out of solid walnut, this piece is highlighted with custom antiqued mirror sections and adorned with gold metal vertical handles. There are four doors total that conceal two wide lined drawers and two wide shelves. The piece sits atop an H-shaped brass base and is a truly beautiful addition to a sophisticated home.